Daniele Bertanzetti (1984), is one of three siblings born in Manerbio, an Italian city in the Lombardy region. A person with a form of autism, he has finished his compulsory schooling and, since 2008, has resided in a housing unit of the Sospiro Foundation facility where, since 2014, he has participated in the institute's creative workshop. From the start, he has depicted his favorite subject, namely cars. He is especially interested in conveying technical details, as gleaned from specialized journals and the Internet. However, during the drawing process, he looks at neither models nor images: he begins by using lead pencil, gradually adding color with ballpoint pens to achieve a more complex composition. 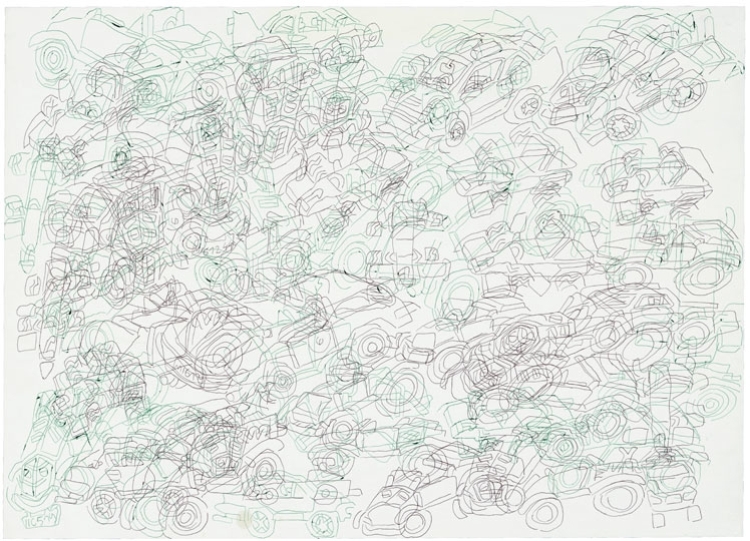 His first drawings were of single vehicles; he has gone on to portray a dense and sometimes colorful jumble of small cars: this he refers to as drawing in three dimensions. In both the workshop and daily life, Daniele Bertanzetti is calmed by a certain framework of regularly carried out activities. This includes his decision to resort to a single page format (50 x 70 cm) and a single mark of ballpoint pen. Besides drawing three times a week in the workshop, he also does drawings on his own, belongs to a basketball team, and likes spending time in a local bar. 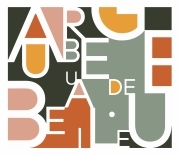 In 2018, Daniele Bertanzetti was nominated for the Euward Prize — a major international graphic arts contest that annually awards a prize for an artist with a mental disability.